One morning while our boat was moored in Kings Cross, I came across a plaque erected by Granary Square, where the new Central St Martin’s has been built, and where ravers in the 90s used to come to dance in tenement buildings on Razorlight road. The plaque contained one of the “Stories” of Kings Cross (author unknown), and is one of the most beautiful and succinct accounts of the history of the Regent’s Canal that I have ever come across. One morning, I sat on the grass and copied it down, so that I could publish it as far as I was able. Here it is, for your reading pleasure. “There is something intriguing about the sight of the Regent’s Canal, a ribbon of water, slipping quietly through the streets of Camden Town. Not just the rare vision of a boat in the urban landscape, but the glimpse it provides of a parallel world, a short walk away from the bustling traffic of Euston road. The Regent’s Canal links with canals that link with other canals and criss-cross the country. The narrow boat that glides past Granary Square could join the Grand Union Canal at Little Venice and, leaving the modern intrusions of rail and motorway behind, wend its way to the Peak District. The call of the towpath may be muted, but it exerts a steady pull – “silent and sure” as the Grand Union Canal Company motto puts it. Generations of Londoners have had their imaginations stirred by the canal boat floating by, but only latterly have people been able to enjoy the towpath as an amenity. In its heyday, access to the towpath was strictly business only, for either the companies and manufacturers whose goods were stored in warehouses, or the canal’s owners, the Grand Union company itself. When commercial traffic finally ground to a halt in the late 1960s, the waterway had been carrying goods for over 140 years. Speed was never the selling point, the attraction was its efficiency in moving bulk goods. Who knows, given the need for a low-carbon transport, the canal may yet experience a commercial rebirth. The Regent’s Canal opened to commercial traffic just as the railways were getting up steam, but even before the first train drew into St Pancras, the Regent’s Canal had problems. The force behind it was John Nash, the architect we owe for Regent Street and Trafalgar Square amongst other London landmarks. Nash had an ability to weave imaginative solutions out of complicated detail, and his canal undoubtedly had its complications: there was the opposition of William Agar whose farm lay directly in the canal’s proposed rote. When construction work began, it almost immediately halted with the discovery that Thomas Homer, impoverished superintendent of works, had embezzled thousands of pounds of funds. But despite these and other delays, in 1820, a grand opening celebration was held in Battle bridge Basin. Initially the canal was a commercial failure, but canal traffic built up and by the mid nineteenth century it had become a profitable asset . The most important loads were of coal from the Midlands, building materials and foodstuffs. The Kings Cross Coal drops and viaduct, still there today, were built by the merchant and coal mine owner, Samuel Plimsoll who is best remembered for the Plimsoll line, the hieroglyphic on the side of ships that indicates the safe loading level. Plimsoll’s coal fed the insatiable appetite of locomotives and London’s hearths, and ensured London’s streets remained well lit, courtesy o the Imperial Light and Gas Company, whose gasholders have been a King’s Cross landmark for over a century. To serve the cargo that came down the canal to be unloaded at King’s Cross, the Great Northern Railway Company built two canal basins: one for coal and stone, the other for general traffic. Two short branch canals led from the basins underneath the six-story Granary building where goods were taken off boats by hydraulic cranes. Other branches ended at transit sheds where cargo cold be taken directly onto horse drawn wagons for distribution. The sheds had underground stabling for hundreds of horses. The stables have become bicycle sheds, and the Granary complex houses the University of the Arts London’s new campus. An old factory at Battlebridge Basin, now the Canal Museum, once had an ice well, or “shade”, an underground cone over 70 feet deep beneath the building. The 19th century ice merchant Carlo Gatti built it to store ice formed in the Norwegian fjords as well as ice from the canal itself when it froze. Gatti brought ice cream to the masses in the form of penny licks (a scoop of ice cream on a lat piece of glass). The freezing of the Regent’s Canal, though so useful to Gatti, was to be its downfall as a commercial venture when the harsh winter of 1962-3 saw the Regent’s Canal freeze so hard that no cargo could move on it for weeks. By the time the thaw eventually came, the freight traffic had been transferred to road, never to return. In the end perhaps the loss of canal freight is our gain as without it, the Regent’s Canal has become one of the most loved amenities King’s Cross has to offer. 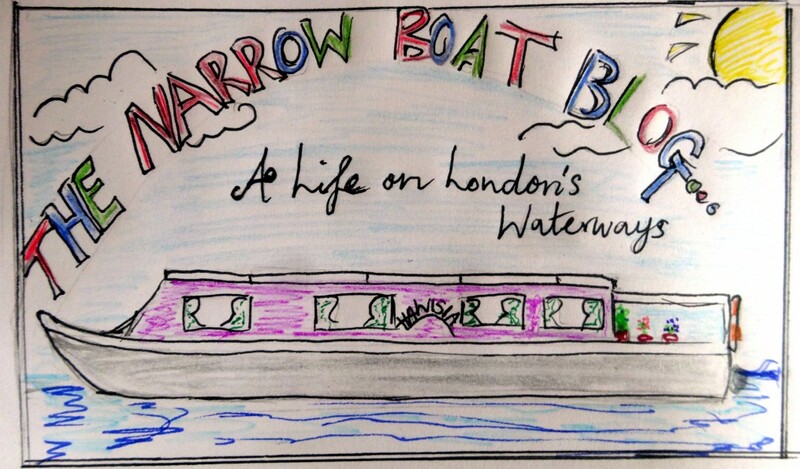 The film documents a journey by narrowboat from Limehouse to Paddington Basin in 1924. For more information about this unique footage please refer to the youtube site on which it is published.